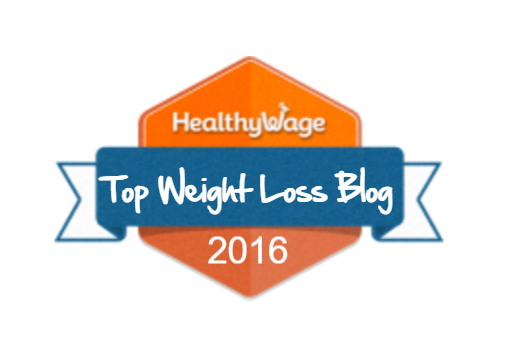 ← Weekly Weigh In #7 – In which I want to bitchslap Weight Watchers in the face. Happy Wednesday, Double Chinners! Some of you may know that I’m in a cupcake decorating class. It’s been a fun creative outlet for me besides studying and I’m taking it with an old friend from college. Sounds fun, creative and interesting – but doesn’t sound conducive to weight loss, right? Well… I think you might be surprised to know, it ain’t no thang at all! I’m a classic salt lover – give me a pile of tortilla chips over a cookie any day! I’m especially not a huge cake fan (I had to learn to like birthday cake, even), so I knew a cupcake decorating class wouldn’t be a big deal for me. 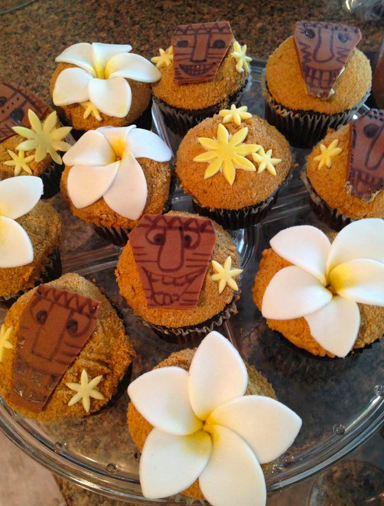 In class Saturday, we made Luau themed cupcakes, with hand-formed fondant plumeria, graham cracker crumb “sand” and hand drawn fondant tiki men. They’re super cute, right? I ate one out of 17 cupcakes (7 points sans fondant), and now they’re gone – given away to coworkers and friends and neighbors. It’s weird to me that I can have a gorgeous display of homemade cupcakes in my house and cease to even notice they exist, but a bag of tortilla chips is like crack, beckoning to me from the pantry with its salty, crunchy lore. In fact, I often have little bowls of candy around my home – I love having a bowl of treats for when guests come over, usually something like dark chocolate Doves or like right now, crunchy malted Robin’s Eggs. Again, the candy doesn’t get me into trouble. Occasionally I may have a couple here and there, but it’s never a trigger for me like salty and crunchy are. I can’t even allow myself to buy tortilla chips anymore, because I’ll keep dipping into the bag until I’m shocked that I’ve eaten half a bag on “study breaks”. Do you have a preference for salty or sweet? Do you find one or the other sets off cravings or triggers? This entry was posted in Food, Random Ramblings and tagged binging, candy, cravings, cupcake decorating, cupcakes, decorative cupcakes, fondant, luau, overeating, salty or sweet, sand, tiki men, tortilla chips, trigger foods, weight loss. Give me salt any day, thankyouverymuch. Doubly so if I’m PMSing. There’s practically no such thing as too much salt…like, I could enjoy a salt-lick as much as any horse. Seriously. Ask my mom about my affinity for bouillon cubes. I like both! I love buttery salty popcorn and putting lots of lemon and salt on my fruit and cucumbers. I also love sugar cookies, frosting and ice cream!